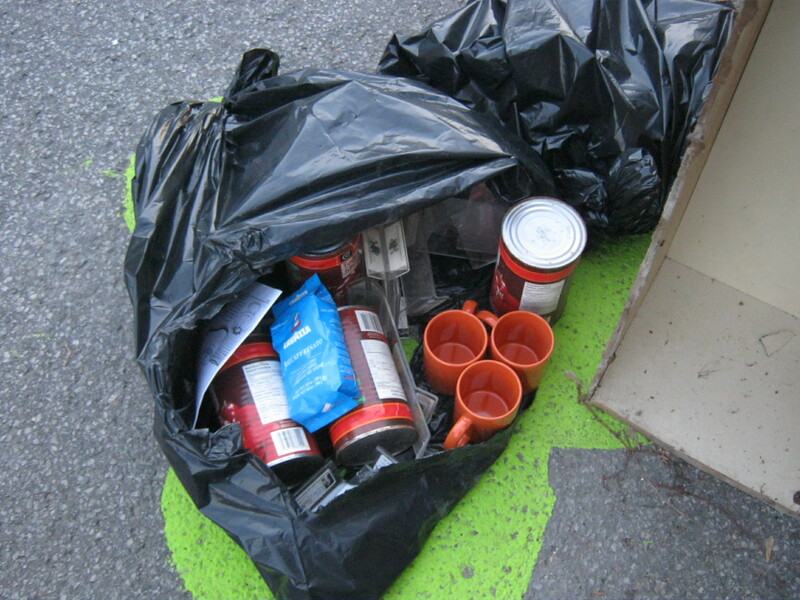 I came across these nice orange mugs among a bag composed mostly of rusty tomato juice tins. I left them near a bixi station for others to take. I decided to look behind the Metro (a Quebec grocery chain) just to see what was up. 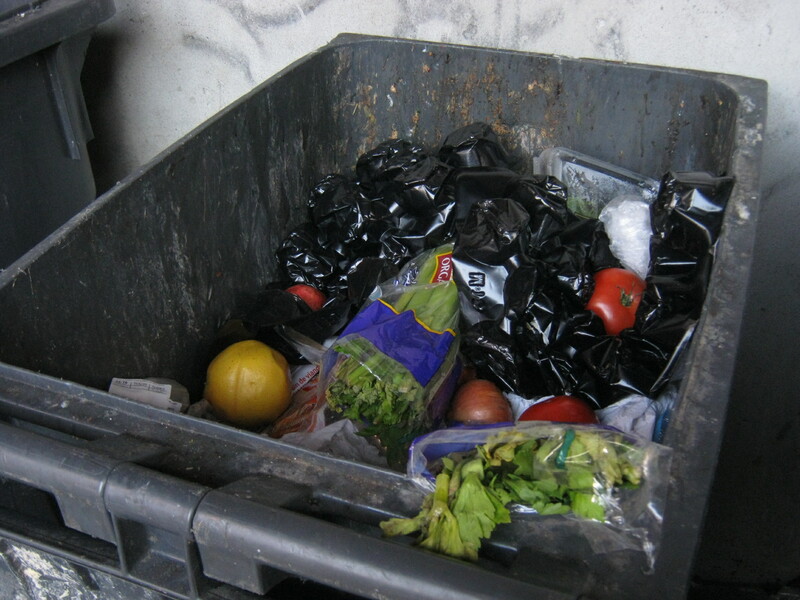 Usually chain grocery stores make their garbage pretty inaccessible to the public. This store, however, actually had all their stuff outside. There were two bins that were full of pretty good stuff. One was entirely composed of old baguettes and other breads made “in house.” The other was full of vegetables. There was some cold cuts too, but I don’t really eat those. I took a bunch of stuff, but I barely scratched the surface of what was actual in these trash bins. I took home two packages of apples (as if I really needed more! 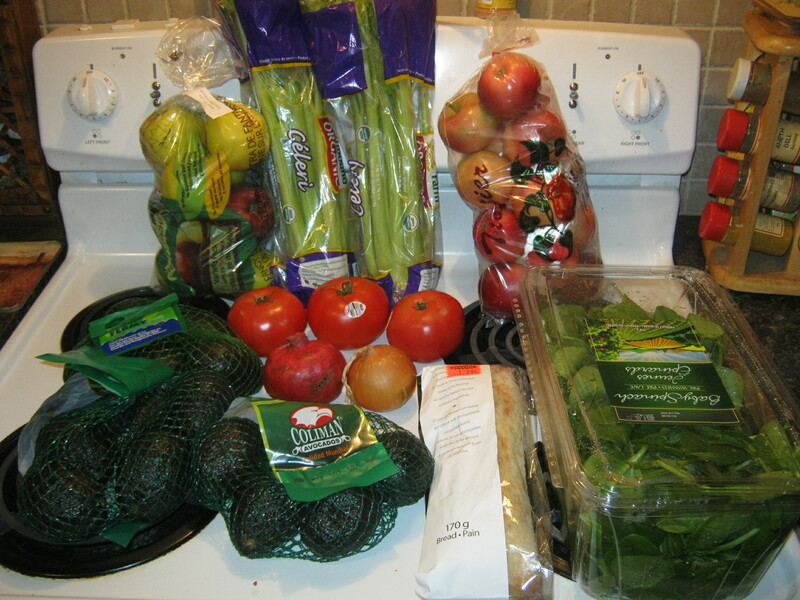 ), a package of spinach that looks mostly good, three packages of avocados that were ideally ripe, two things of organic celery, three tomatoes, a pomegranite and an onion! It was pretty convenient because I needed celery for this soup I wanted to make (which turned out pretty well). The only other stuff of note that I found tonight was in some bags later in the evening. 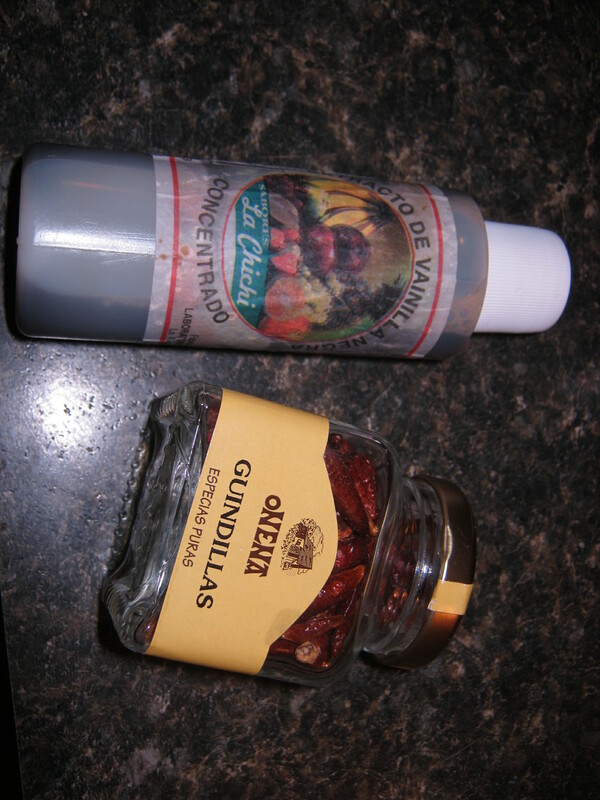 I pulled out this container of (delicious smelling) vanilla from the Dominican and a little jar of dried chilies (a few of which I threw into my soup). 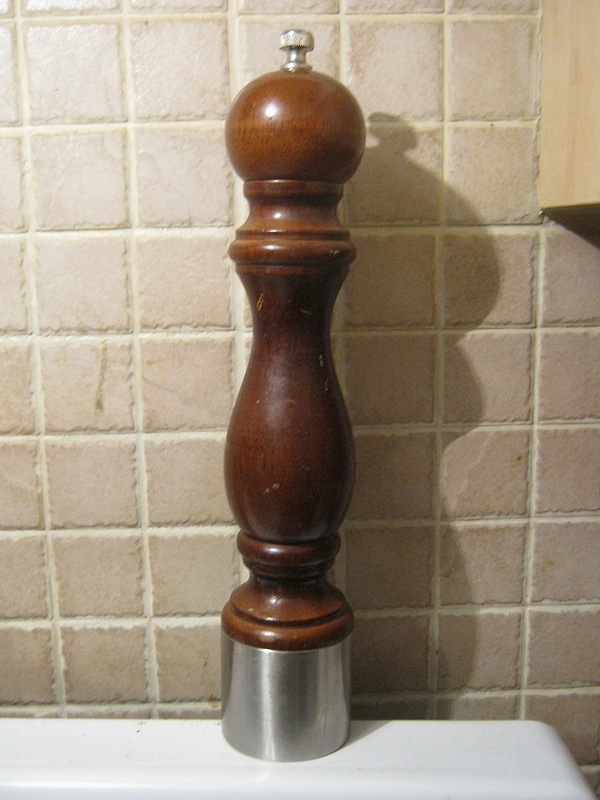 I also found a nice pepper mill. A little clean and this is good to go! Finally, I found this little USB hard drive in it’s original little felt pouch. 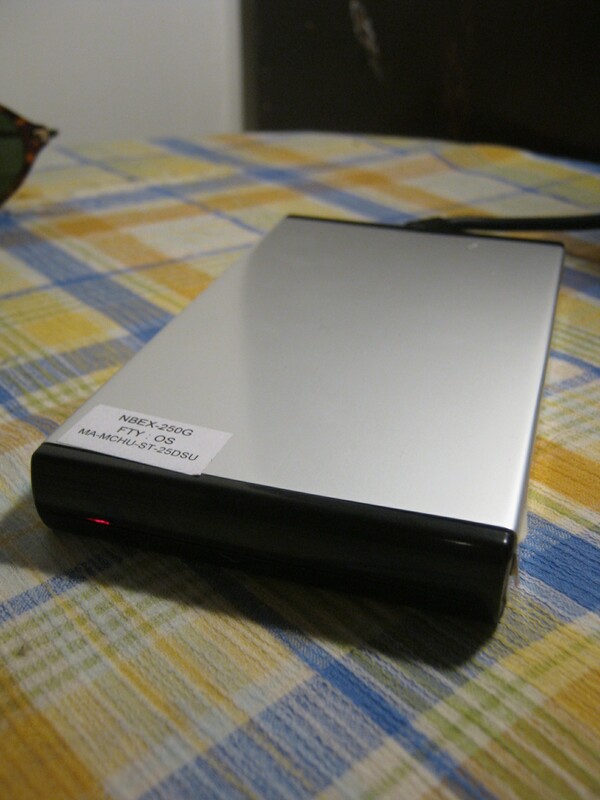 I plugged it in and it works – it actually holds the same amount as my current hard drive (237 gigabytes). I know, not exactly up to the terabyte standard that seems to have taken hold now, but still pretty good! I may try to get twenty bucks for it, but it might be good to keep around too. It was actually still full of personal stuff when I found it, which is rare because most people know to format their stuff these days. In other news, I put a few more things on Craigslist, and did a bit more work on my Etsy store. I’ve been slacking off on the idea but I’d like to get it going. I hope to have things up and running soon! An apple a day, plus. Looking good on the food front!